A high temperature rope and adhesive that withstands very high temperatures and is used to seal castings and stoves used as thermal sealing rope/tape and ceramic fibre seal. 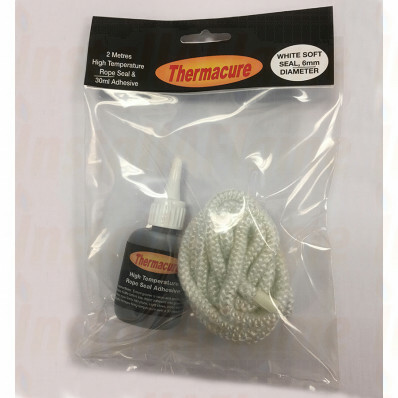 A high temperature rope and adhesive pack that withstands very high temperatures and is used to secure fibre rope or gasket rope to seal Firebacks, Stove doors and glass for wood burning appliances. Choose stove fire rope, available in diameters from 3mm to 25mm to suit any stove from small home stoves to industrial burners. 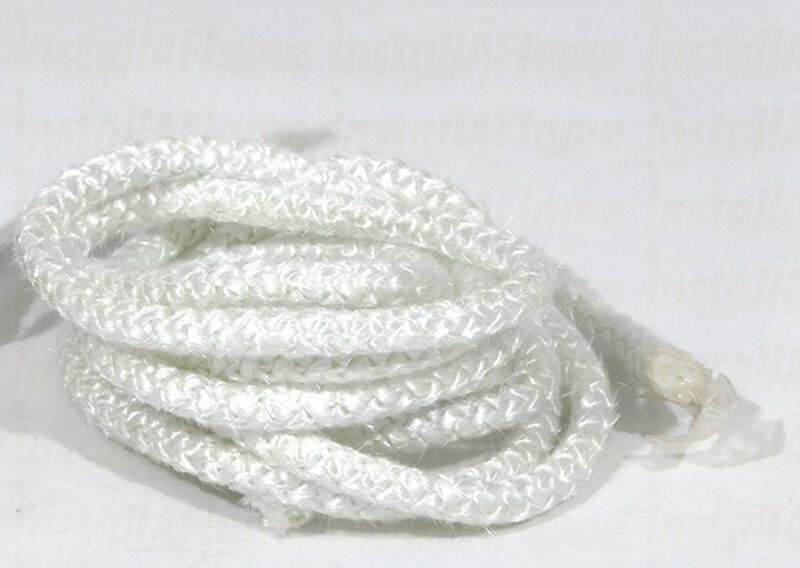 Fibre rope is made of glass fibre and rated to 500 degrees and it is designed to compress to allow a tight effective seal to castings and stoves. Use the fibre-rope adhesive to fix the rope in place.